A dog so cheeky even the Queen can’t boss him around. Laugh till your crown topples off. Are you barking mad about dogs? The naughtier the better? Then this is the book for you. A little handful is running riot in the royal household. It’s not Prince George. It’s Chips the Corgi! 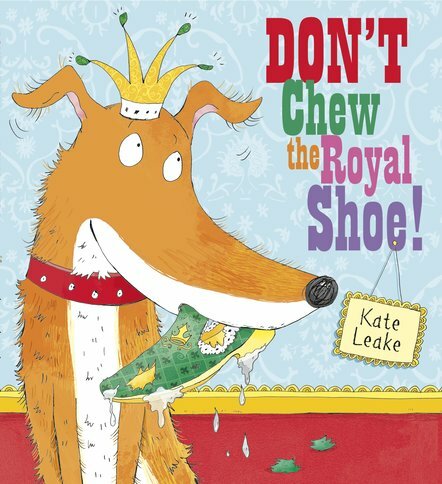 This cheeky chap loves the taste of royal shoes. Her Majesty’s footwear is always chewed up and soggy. Yuck! But could Chips’s naughty habit turn him into a royal hero? He’s already the king of our hearts! AD710L Lexiles are the global standard in reading assessment. They are unique as they are able to measure a child and a book on the same scale – ensuring the right book gets to the right child at the right time. There's a Snake in My School!